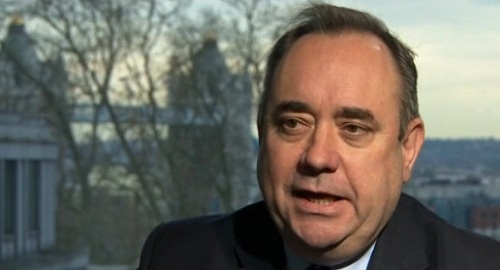 politicalbetting.com » Blog Archive » Why aren’t SNP voters backing Salmond on independence? « Is this the man who should be in Number 11 ? Why aren’t SNP voters backing Salmond on independence? What happens if defeat looks certain? One electoral fact that hasn’t been given much attention is that the SNP’S vote share in the Scottish council elections on May 3rd was 13% down on what Salmond’s party secured a year earlier in the Holyrood elections. In 2011 it was 45% while in 2012 it was 32%. Not only did the SNP fail to take its much hyped key target of Glasgow it saw the city’s council move back to Labour overall control. Now comes news that one of the party’s leading donors, Sir Tom Farmer doesnâ€™t want independence. What a gift to the unionist campaign on two levels. How can the SNP be pressing for independence when it is split on the issue? Secondly the key challenge for the party has always been over the economic case and as we get closer to the day the views of businessmen like Farmer will be given more and more attention. This development comes in the wake of a YouGov Scotland poll which found that just 58% of those who voted SNP in 2011 want an independent Scotland and that 28% are against. All this points to a massive mis-reading of the SNP’s success at the Holyrood elections last year. This was not evidence, as many pundits claimed, of a desire for independence but rather it was a statement by Scottish voters that only plausible candidate for First Minister in May 2011 was Salmond. Whatever the SNP leader is now in a mess. The referendum looks as though it will be lost and Salmond has to find a way of getting himself off the hook. But bottling out of an election, as his fellow countryman Gordon Brown might advise, can have terrible consequences.